Ice vs. Heat: What Works Better? Does Ice or Heat Work Better? Many of us get confused whether to use ice or heat pack when there is pain, injury or bleeding. Today, we answer one of the most common questions we get asked in the clinic. Remember the first letter for ICE is I and it means that it is good for INJURIES. 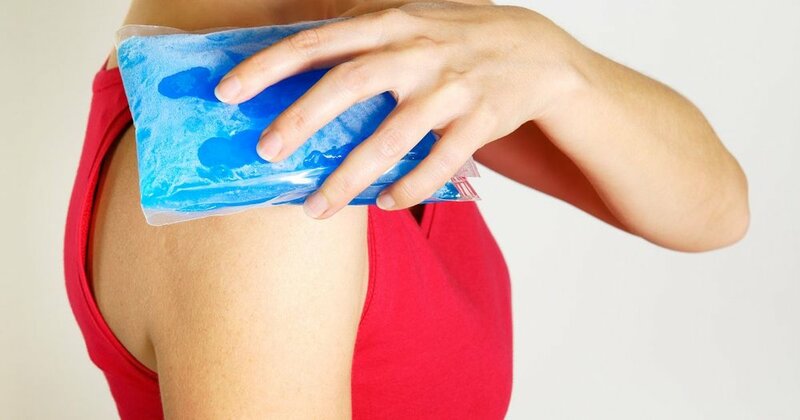 Anything that is red, swollen and hot (torn, sprain, bruise) needs ice to calm down the tissues. Ice application helps lessen pain by making the affected area feel numb or dull. Another thing you should keep in mind in the presence of bleeding is to limit the damage and stop the bleeding right away. Again, you can do this by putting ice on the affected. One can never go wrong by putting ice on it. Ice and heat pack are roughly equal when it comes to immediate relief for long-term injuries and other sorts of muscular pain. If it's more of an ache something that's come up insidiously/randomly or out of the blue and/or it's been there for a while, you can try both ice and heat pack. Hot pack settles the nerves down a lot better, but an ice pack can do the trick as well. Whatever works best for you, whatever makes you feel better and gives you fast relief. Do it immediately, it could be ice pack or heat pack. If it made you feel good, then you did the right thing.